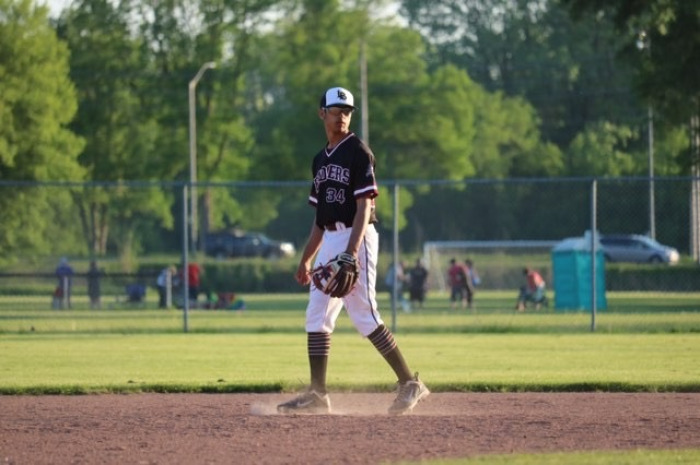 To celebrate Rushil's accomplishment, Jeff Gladwish interviewed him for the London Badgers website, to get his thoughts on his future with Central Michigan and reflect on his experience with the London Badgers. Q: So Rushil, why did you commit to Central Michigan (CMU)? A: There were few critical factors for my family and I with the selection of my university. First, it was really important that the university had a great coaching staff who truly invest in their player's development and support a balance of baseball with education. My official visit to CMU gave me a true satisfaction that my needs will be fulfilled. Second was to make sure the university had a Business program and Sports Management as my goal is to graduate with a double major in both. Lastly, an important attribute was that I had a roster spot in my freshman year as I will continue to grow, become a better baseball player and contribute to the team over my 4 years. Q: How many years did you play with the Badgers, and what was your biggest highlight? A: 2019 will be my 4th year with the London Badgers. My biggest highlight was winning the 18U Ontario Eliminations and Provincial tournament which earned my team a spot to compete in the Canadian National Championships where we ultimately won GOLD. Q: How has the London Badgers program helped prepare you for college baseball? A: The Badgers Program allowed me to compete at both a Provincial and National level. During my regular season I had numerous opportunities to play against Canadian and U.S teams which enabled me to showcase my skills and find different approaches to success. This organization and specifically Mike Lumley have emphasized to me that courage, dedication and being efficient will contribute to my accomplishments. Q: Who was the person who guided you the most throughout your minor baseball career? A: Easily without a doubt I would have to say my brother Sashank. Since day 1 he has motivated me to be the best player I can be and compete at the highest level I can with the talent I possess. Not only has he taught me numerous skills and techniques to find the best approach specific to me but has also been by my side and guided me through both the successes and failures. I am very thankful for Sashank and would not be the person / baseball player I am today without him. Q: Who was your first baseball coach? How did he inspire you to be where you are today? A: My first baseball coach was Steve Davis of the North York Blues Organization at the age of 6. Steve always identified something special in me and did everything in his power to make sure I was playing to the fullest of my capabilities. He not only taught me the basics to the game, but also how to exceed expectations. Steve inspired me to set goals and fulfill them without letting anything stand in the way. Q: Any words of advice for our younger Badger athletes? A: Two important things I will always tell younger Badgers are: 1) Never let size specifically impact your game. There are many factors you can control and if you have the motivation and drive to succeed don't let your physical attributes mislead you from achieving that. 2) Always stay focused on your aspirations. If you have the mindset to progress and are always moving forward regardless of the situation, use that barrier as a chip on your shoulder you want to overcome. HARD WORK NEVER FAILS! ** Originally printed at LondonBadgers.on.ca.